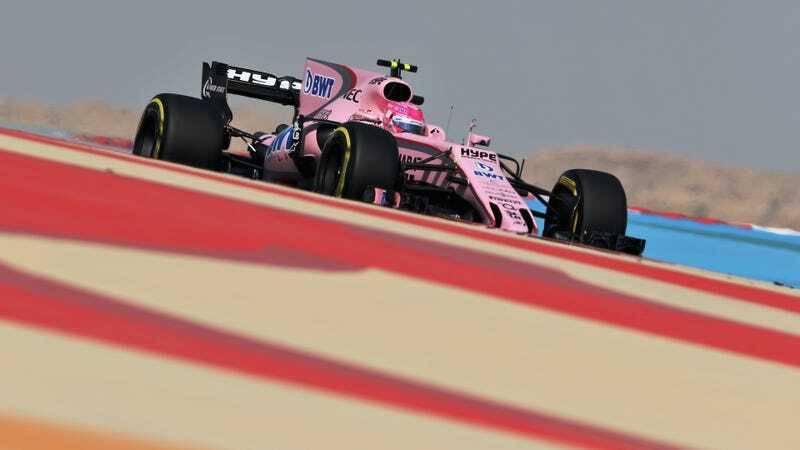 Are these pink Force India cars great or what? Are these pink Force India cars great or what? The color makes up for the awkward front end, and the cars just bring forth a deep feeling of happiness when they go by in the Formula One field—well, when they’re actually in the television shot, that is. Why wouldn’t you want a pink race car?